The story of migration is ongoing. In the final, 60th panel of The Migration Series, Jacob Lawrence leaves us with the words “And the migrants keep coming.” The Phillips has invited contemporary artists to continue Jacob Lawrence’s work. Check the recently launched Jacob Lawrence website for additional works to be unveiled in this dynamic curated selection, or contribute your own #Panel61. 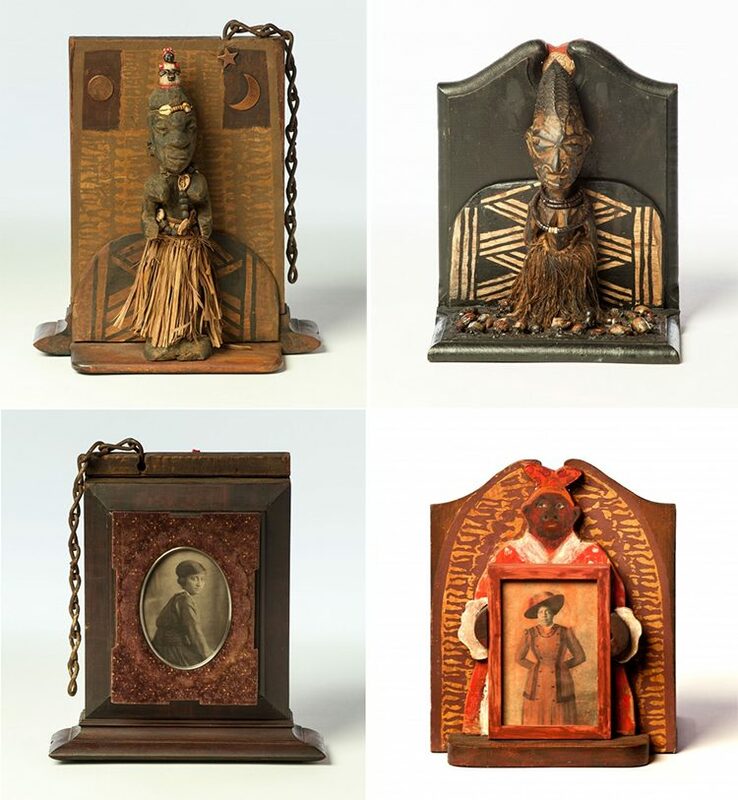 In 17 mixed media collages and assemblages, Betye Saar (b. 1926) narrates 17 distinctive journeys. By layering carefully selected clues—a gold button, an African mask, a slave ship diagram, a weathered photograph, a pressed leaf, a tattered American flag—she constructs fictional biographies of nameless characters that represent the historical passages of millions. Haunted by memories of Africa or the trauma of the Middle Passage, Saar’s journeys remind us that history is not simply the recording of past events—it is a living, breathing entity, filling the space of our present and shaping contemporary identities. This entry was posted in Experiment Station and tagged artist response, Betty Saar, Betye Saar, contemporary artists, Jacob Lawrence, migrating, migration, migration stories, Panel 61, Panel61, The Migration Series. Bookmark the permalink.